When we pass neighbours in the street and we’re asked how we are, it’s often easy to say “I’m good, thanks,” and offer a smile, even though, at a core level we may be feeling low. It’s certain that human life will bring trauma, and we may be given a few days off work to come to terms with distressing events, but we must often pick up the pieces of our lives and carry on long before we’ve truly healed. Once back in the flow of meeting our responsibilities, we must engage in our community, and try to stay focused on the tasks at hand, making sure we effectively keep a lid on any emotions which are simmering inside. After every type of loss in our life, there is a grieving period, and unfortunately, we’re never given an indication as to how long it will take for us to find happiness again. When we’re grieving, it feels as if we have lost a piece of our life, and a hole seems to exist in our being that physically aches. But we keep breathing, we keep going, we keep on meeting our responsibilities and smiling at others, whilst we wait for our underlying sadness to lessen. And sure, the passing of time really does help us, but if you find you are pasting on a smile these days, and that life is hard, here are a few things you can do to help you lift yourself up and raise your own energy. Step One: Let out your sadness. If you’re feeling low right now, as you read this, the first thing I suggest you do is to set aside some time today to consciously cry. As soon as you have some privacy, spill those tears, and allow yourself a little time to let your sadness out. We have to be strong so frequently, we have to do things that others depend on us for, and we may feel we have to push our sadness down, suppressing it, just to allow us to function. So now, or as soon as you can today, cry. Even if you don’t feel sad enough to want to cry naturally, focus all your attention on your sadness, and actively pursue those tears. By consciously making space for our sadness, we allow ourselves the opportunity to release some of our pent up emotional distress – and this release is incredibly important for our healing. Step Two: Remember the word Hope, and all that embodies. Remember life, whilst a roller coaster, IS beautiful at its core, and as every new day dawns, a new glimmer of possibility exists. We never know what life will deliver to us. Life can be playful, spontaneous, and can often never be second guessed – people and opportunities really do turn up when we least expect them. So, try to curb your despair with an air of hope. Remember times in the past when life has swept you off your feet and surprised you with happiness when you least expected it. If we live life with good intentions, avoid hurting people, and give our all to being the best version of ourselves that we can possibly be, the universe will introduce us to new circumstances when the time is right. When we wallow in the lows of life, often we’re afraid that we might never feel love in the same way that we did before, and we feel lacking in vital source energy. But, if we truly believe that we are here to love and to learn, we must employ faith over fear, and trust that everything that is happening us to us is happening for a reason. As life’s energy spirals around us, we must have faith that the flow will take us in a positive direction. And if we don’t feel positive right now, it’s because we haven’t yet learnt the lesson that is lying in front of us, but with time, contemplation and meditation, we can have faith that we will find our answers and that peaceful, loving inner space where we can reside. When our world changes, and the ground seems to slip away from under our feet, it can be easy to forget just how strong we really are. When our life force is zapped by events we struggle to comprehend, we can feel weak, and just getting through the day can seem an effort. In times like these, try to remember all the problems and distressing events that you have successfully grown through in the past. Remember the strength you have shown in coming this far, and know that just like all those other times, this hardship will pass. You can surface out of your turmoil, and come out the other side stronger than ever before. 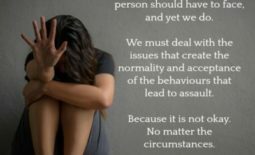 Consciously bring to mind the last time you showed significant strength in dealing with trauma, when you were able to be there for others as a rock. Route around in your memory, and think back to the time before that when you showed tenacity and courage, and then, the time before that – living life as a human being takes immense strength, and overcoming difficult times is all part of what we’re here for. Every single one of us has come through tough experiences in the past, so with those memories of your inner strength held firm in your mind, grab hold of them, dig deep, and know you are still that person, with all that courage and determination still available to you in your core. Affirm to yourself, “I am strong”, and repeat this again and again in your mind. Positive affirmations help to open up the positive pathways in our mind, and can spark new brain-waves that lift us out of our sadness – so, be supportive of yourself by recognising your own strength and commending yourself for it. Step Four: Smile, you are beautiful. You may not feel like smiling right now, but just like you consciously cried in Step One, it’s now time to consciously smile. You are important, you are loved by the Universe, and if you live life doing the best you can every day, the synchronistic flow of Karma will have your back. If you’ve read and enjoyed any of James Redfield’s books, then I have faith that your eyes and mind are wide open as you search for your answers to your life questions. 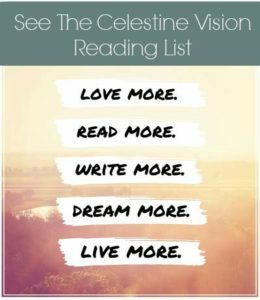 No matter what’s happening to you right now, and no matter how alone you may feel at times, know that you are hugely significant – you are part of the Critical Mass – and together, as we hold the Celestine Vision in our minds, we can overcome anything. You are beautiful, you are strong, and you are far from alone. 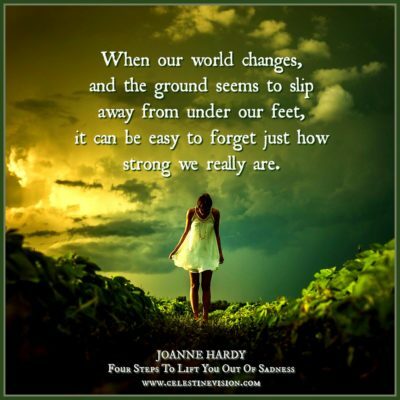 To read more from Joanne Hardy, follow the author on Facebook. And to ensure you are kept up to date with all the latest Celestine news, initiatives, and volunteer opportunities subscribe to our Newsletter.